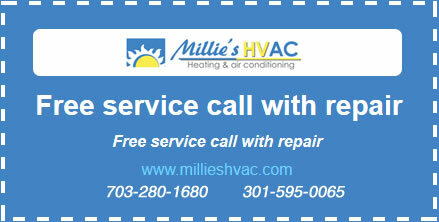 Millie’s Heating & Air Conditioning offers a full line of Carrier air conditioners to Arlington, VA area customers. Because we believe that Carrier AC units are durable, efficient, and user–friendly, we have several models for you to choose from. If you want an efficient cooling system without sacrificing home comfort, call the Carrier experts at Millie’s HVAC to help you select the system that is right for you. Carrier air conditioners are both quiet and cost–effective, which means that these systems can provide you with efficient AC that is quieter than ever before. Not only do these provide more comfort for you, but they are also reliable systems that will last for many seasons if well–maintained. Whether you’re looking for a central air conditioner, heat pump or a ductless mini split system, the experts at Millie’s HVAC stand behind all of our Carrier products. Call us any time to learn more about the benefits of a Carrier AC system. Improving indoor air quality can be easy with Carrier air filtration equipment. At Millie’s HVAC, we offer a wide selection of Carrier brand indoor air quality solutions that can be installed as part of your home’s heating and air conditioning system. Call us any time to learn more about how an indoor air quality system can help eliminate many common indoor air pollutants, such as mold spores, dust mites, and pet dander. Millie’s Heating & Air Conditioning is a certified Carrier AC system provider in Arlington, VA, and we proudly serve customers throughout the area. Don’t hesitate to call us if you have questions about the different models we can install for you. We’re happy to discuss all the benefits of a Carrier system and help you choose the right system for your needs.